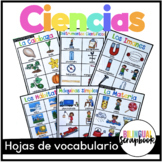 El Sistema Solar: 36 Solar System Vocabulary Words, Colorful Visuals, and Definitions in Spanish. 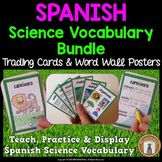 Print in color on card stock, laminate, and display as mini posters, use in vocabulary presentations, or integrate into science stations. 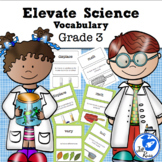 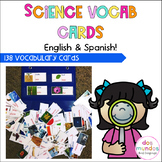 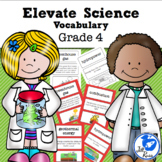 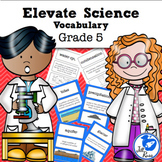 Dual Language Science Vocabulary Cards-Words for the whole year! 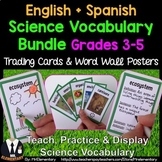 All you need for your Science Unit of Earth and Space vocabulary with pictures. 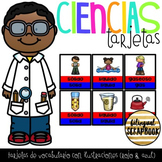 They come with vocabulary in Spanish (red) and English (blue). 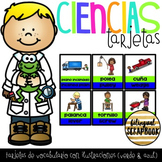 When you are teaching the lesson in Spanish, your English speakers can understand by reading the word in English and vise versa with Spanish speakers.